A Great Way To Care [仁心解码]; Happy Belated Bday Charmaine! KO LAP YAN (Fong Chung Sun), Senior Psychiatrist of Yan Wo Hospital, is a competent and kind-hearted doctor who specializes in severe schizophrenia and even minor mental illness. YAN cures his patients by not only medication but also by psychological analysis. He diagnoses the cause with reference to the symptoms. The plot is interesting, intricate and extraordinary. The Psychiatrist LIN CHI SUM (Cheung Chi Kwong) and the nurse LI YING CHUN (Wong Ho Yin) are both good friends of YAN. SUM is keen on helping people. 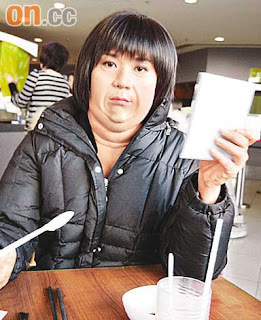 He has cured a patient suffering from binge eating disorder SUEN KA PIK (Yeo Vivien). They have overcome a lot of difficulties and become a couple. YAN is a divorced single father with a daughter. After the failed marriage, he did not long for love affairs until he chanced upon an Inspector of Serious Crime Unit MOK MAN YEE (Tsui Tsz Shan, Kate). They have gradually developed their relationship through business contact. However, in order to avoid recurrence of genetic mental disease, YEE detaches her feeling from YAN. Starring: Alex Fong (方中信), Kate Tsui (徐子珊), Raymond Wong (黄浩然), Yueh Hua 岳 华, Cheung Chi Kwong (蒋志光), Cheung Kwok Keung (张国强), Timmy Hung (洪天明), Vivien Yeo (杨秀惠). This sounds like Forensic Heroes, but instead it's Psychological Heroes. Haha.. I wonder if Alex will use his skills to solve cases in the series. Or does he just help people. Top confidential of Hong Kong's border security. Immigration Department is guarding the door of Hong Kong, and seeks out to prevent doubtful identities and criminals from entering Hong Kong. It only not creates a highly demanding task for immigration officer and also raises a further question - how will they make identity verification as accurate as possible? FONG TSUN KIT (Roger Kwok) becomes friends with two other candidates CHENG PAK YUE (Cho Wing Lim) and YIP ON KEI (Yoyo Mung) while applying for a post in the Immigration Department. YU is an aggressive person. He later moves to the Police Force and is promoted to Senior Inspector of Regional Crime Unit. While investigating a murder case, he realizes that the new gang leader WU KIT SUM (Kenny Wong) has killed somebody because of KIT's wife. It totally turns KIT's life upside down. As a good friend, KEI helps KIT take care of his son after a failed relationship with YU. When two hearts meet, an extraordinary link spontaneously draws them together. Meanwhile, AU SHUN FUNG (Patrick Tang) appreciates KIT's ability very much and recommends him to MAK KAI MING (John Chiang), Head of Investigation Section. KIT gains approval and he is determined to start anew. While carrying out an investigation on a fraud syndicate, he comes upon his missing wife and uncovers her long-hidden identity. Starring: Roger Kwok (郭晋安), Yoyo Mung (蒙嘉慧), Patrick Tang (邓健泓), Raymond Cho (曹永廉), John Chiang (姜大伟), Toby Leung (梁靖琪), Tong Sze Wing (唐诗咏) Power Chan(陈国邦), Kenny Wong (黄德斌), Queenie Chu (朱慧敏). This series is really under-hyped. It looks just like the ICAC Investigators sequels. Kenny Wong as a gang leader.. I think Kenny's the perfect person to play the role. Roger Kwok with a missing wife and hidden identity.. I want to watch this series!